We are privileged to bring you one of the nicest farms we’ve ever sold! Over 2 miles of Solomon River meander through this highly productive farm. Check out the photo gallery below and take a drive as soon as you can. This farm has it all!! Productive soils, Solomon River, Coal Creek, and trophy whitetails, sure enough something for everyone! This farm will sell by sealed bid on December 12, 2018. Buyer to immediate possession upon milo harvest on TRACT 1. Located on on the west side of 245th Rd, 1/4 mile north of the Niles blacktop. 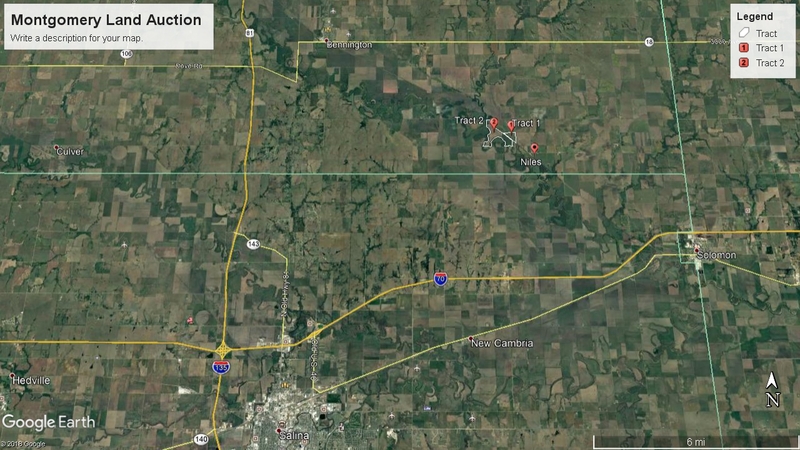 This tract consists of approximately 47.03 farm acres, currently in milo. Possession will be after milo harvest. Located off of Carriage Rd on the northwest and 245th Rd on the southeast. 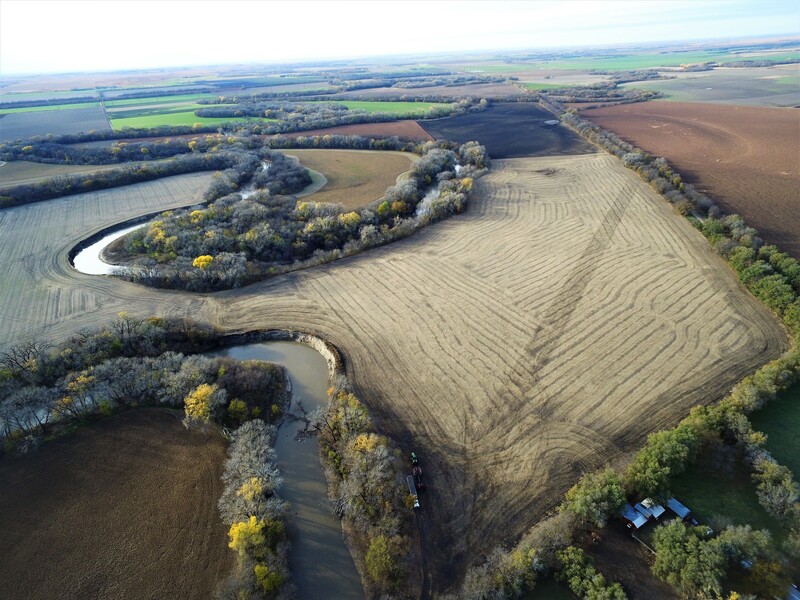 The is a very productive, well maintained river bottom farm…..one of the best farms we’ve ever sold!! Mostly Class I and II soils and unlike many farms in the area this farm drains well and doesn’t have a water problem. Over 2 miles of Solomon River and 1/2 mile of Coal Creek plus heavy timber and hardwoods make for excellent deer and turkey habitat. The clear spring water of Coal Creek dumps into the Solomon River just 100 yards off the property making for some of the best catfishing you can get.